John Thomas, Professor of Jazz Studies at USC, tours and/or records as lead trumpet and is featured on hundreds of albums, television series and motion pictures. 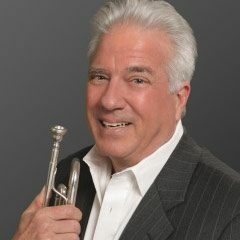 Since 1973 John has lived in Los Angeles, touring and/or recording as lead trumpet for Count Basie, Chick Corea, Woody Herman, Maria Schneider, Bill Holman, Ella Fitzgerald, Joe Williams and many others. His playing is featured on hundreds of albums, television series and motion pictures such as the movie Ray. Thomas is a Professor of Jazz Studies at USC and is a Senior Specialist for the Fulbright Scholarship Board, traveling to Peru, Thailand, Croatia, Italy, Austria and South Africa presenting trumpet workshops and music seminars. His newly released instructional trumpet DVD, Trumpet Secrets Revealed, is distributed by Hal Leonard, Inc.